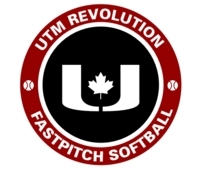 Welcome to the home page for UTM Revolution Brantford. We are a U19 team competiting at the PWSA Tier 2 level for 2019. Our team of 13-athletes is led by coaches Bill Kuntz & Tom Shultz, with support from John Schumacher and Chris Meyer. Our team is proud to be a partner with the Brantford Bobcat organization, showcasing what can be done when two organizations work together for the benefit of the softball athletes looking for a competitive team to continue their playing career. This spring/summer we will enter into tournaments and events across Ontario, and also travel to the United States (Ohio). We are looking forward to an exciting season, one in which we feel we can compete with several of the most talented teams across our province. We practice January to April on Monday evenings from 8:00 to 10:00pm at Rising Stars, in Brantford, ON.